GIANT GODZILLA 1954 by Yuji Kaida!! This amazing Giant Godzilla 1954 was sculpted by Yuji Kaida for the Giant Artworks Collection by Megahouse. This powerful sculpt captures Godzilla 1954 at his awesome STOMPING best!! TOKYO LOOK OUT!! The figure stands a whopping 18 inches tall! 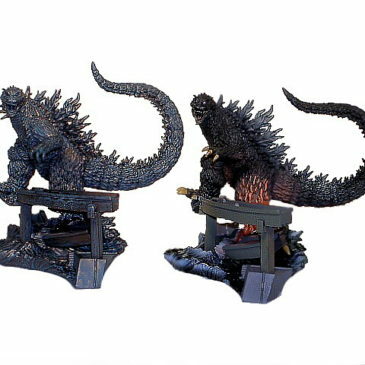 The figure is made of very solid vinyl and would make a great center piece for any Godzilla Collection. Comes MINT IN BOX. This is a large figure that comes in a VERY large colorful box!! CLAWMARK TOYS WARNING: Collecting Giant Godzilla figures could be addicting!! Scroll down to see additional photos. 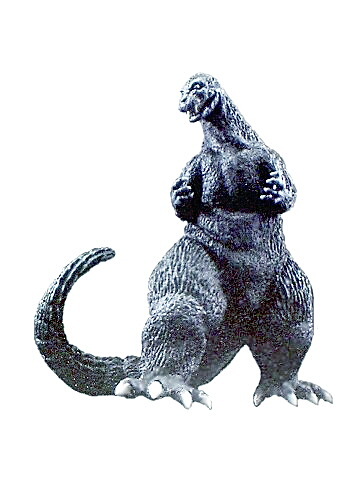 GIANT GODZILLA 1962 by Yuji Kaida!! This amazing Giant Godzilla 1962 was sculpted by Yuji Kaida for the Giant Artworks Collection by Megahouse. This powerful sculpt captures Godzilla 1962 at his awesome angry best!! NO WONDER KING KONG RAN!! CLAWMARK TOYS WARNING: Collecting Giant Godzilla figures could be addicting!! 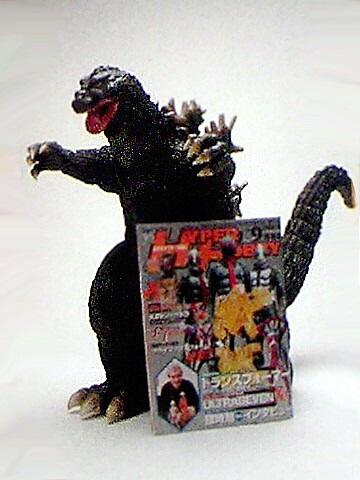 Photo of Godzilla 1962 and Hyper Hobby is for size comparison only!! 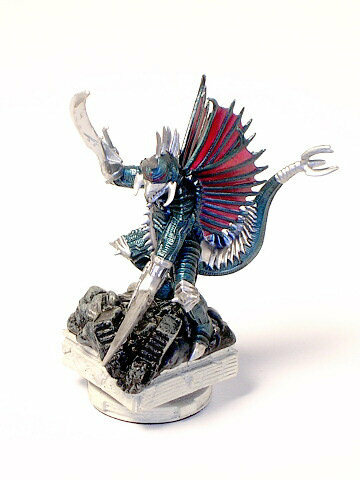 Gigan 2005 style statue/chess piece white base Final Wars style GIGAN by Megahouse in 2004. Made of vinyl. Gigan is the Knight if used as a chess piece. He also makes a great statue! The figure stands about 3 inches tall. 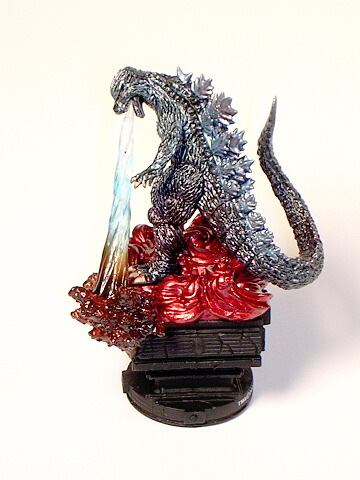 Godzilla 2005 statue/chess piece White Base. 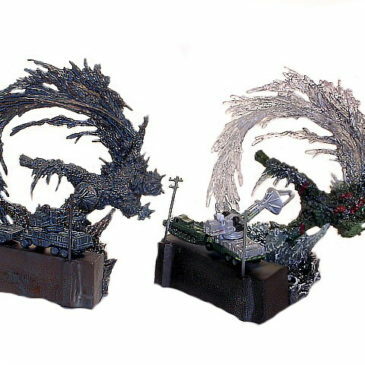 Made by Megahouse 2004; now out of production. Figure is made out of Vinyl and stands approximately 4 inches. These can be used as chess pieces or statues. 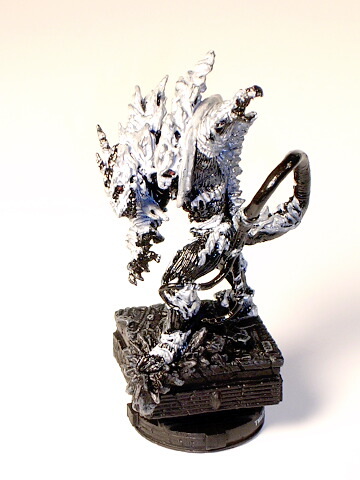 Monster X statue/chess piece BLACK Base. MONSTER X made by Megahouse in 2004-2005 for the Final Wars Movie. The chess piece stands approximately 4 inches tall. Made by Megahouse Co. of Japan, this wonderful Diorama of YOG “Monster from Space” is from the new Toho Science Fiction Movie “Artwork Collection #2” featuring art by legendary Japanese Kaiju Artist Yuji Kaida. You get two Dioramas of a Scene featuring all of the all three forms of Yog standing in volcanic fire! 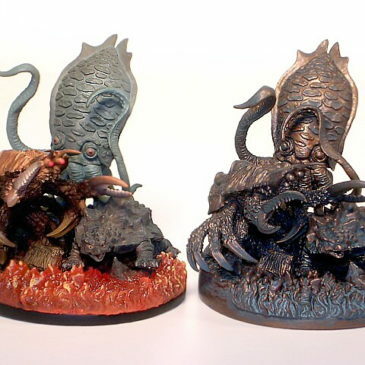 You get Kameba, Ganame & Gezora, one in color and the other in “Pewter.” The detail is just amazing! The dioramas stand approx. 3 inches tall are made of vinyl. CLAWMARK TOYS WARNING!! Small parts not suitable for very young children. Made by Megahouse Co. of Japan, this wonderful Diorama set is from the new Toho Science Fiction Movie “Artwork Collection” featuring art by legendary Japanese Kaiju Artist Yuji Kaida. 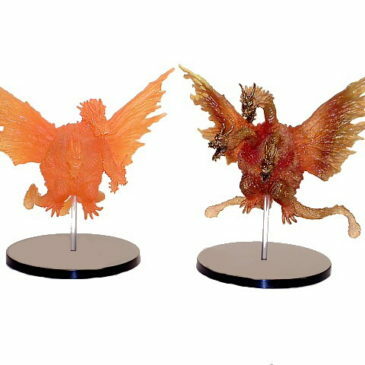 These are two Dioramas of King Ghidorah looking as he did when he made his first appearence in the exciting movie Monster Zero, one in color and the other in “translucent orange.” The detail is just amazing! The dioramas stand approx. 3 inches tall are made of vinyl. Comes with a colorful artwork card by Yuji Kaida. Made by Megahouse Co. of Japan, this wonderful Diorama set is from the new Toho Science Fiction Movie “Artwork Collection” featuring art by legendary Japanese Kaiju Artist Yuji Kaida. 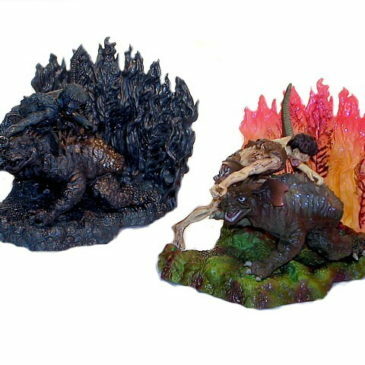 These are two vinyl Dioramas of Godzilla 2000 standing on a Destroyed Freeway, one in color and the other in “Bronze.” The detail is just amazing! The dioramas stand approx. 3 inches tall are made of vinyl. Comes with a colorful artwork card by Yuji Kaida. Made by Megahouse Co. of Japan, this wonderful Diorama set is from the new Toho Science Fiction Movie “Artwork Collection” featuring art by legendary Japanese Kaiju Artist Yuji Kaida. These are two vinyl Dioramas of Frankenstein fighting Baragon (from the movie Frankenstein Conquers the World) one in color and the other in “Bronze.” These Dioramas are just awesome, they even catch ALL the ugly that is Frankenstein!! The detail is just amazing! The dioramas stand approx. 3 inches tall are made of vinyl. Comes with a colorful artwork card by Yuji Kaida.